Is this Image Worth Skinned Elbows? I do enjoy observing spiders, critters and insects. They are fascinating! But, honestly, I’m selective with which creatures I will actually touch. Of course, those that are dangerous deserve respect. They all do. But, when it comes to beetles and spiders, I just get a little freaked out! In September, my friend Brenda and I were on an outing to Grasslands National Park in Saskatchewan, Canada. We decided to make a roadside stop. Harvest was well under way. Golden crops rippled in the wind. Alongside the ditch, I could hear the crickets chirping. I love the sound they make, but they are often elusive. 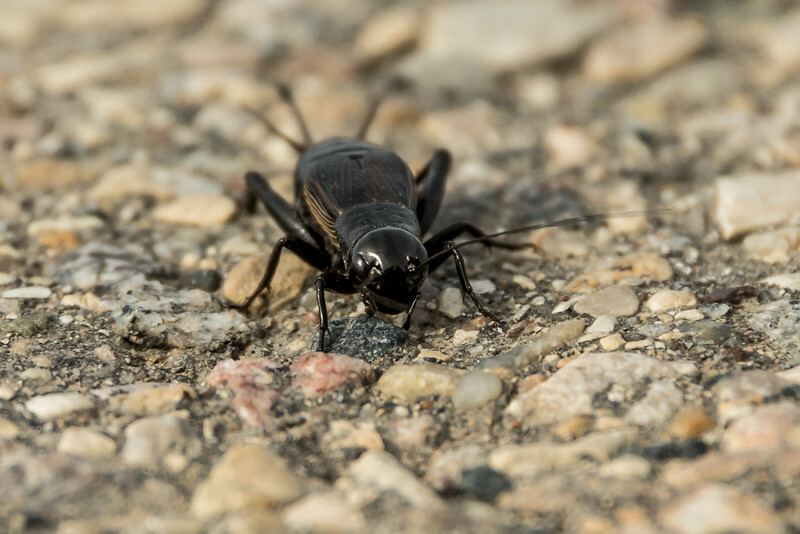 I’ve wanted a macro shot of a cricket for some time, and I had seen them on the shoulder of a highway prior to this experience. I began my search. Sure enough, I found one bathing in the heat of the autumn sun. The road was deserted, so camera in hand, I perched on my elbows and knees on the asphalt to get the shot. Now, you may know that through a zoom lens, a cricket appears to be quite large. Suddenly, this monster leapt toward me! And… BOOM! I skinned my elbows saving my life. Thank goodness I got the shot! Thanks for sharing in my fun! If you have any questions or positive comments, please feel free to comment below, or contact me via my Facebook page or the Contact Form on dwilapix.ca. If you're a fan of photo-sharing social media, find and follow dwilapix on Instagram!